You can soften the appearance of layered rugs with two that are arranged to look like they belong together. Placing a small, striking area rug on top of a large one of the same shape gives you a unique personalized design. Maintain a foot-wide border of the base rug peeking out so the style looks expertly created. Using a less-expensive base rug to cover most of your floor is a great money-saving option. Then you can splurge on a smaller rug that sits on top and garners more attention. If you’re ready to make a bold move, try mixing patterns with your layered rugs. You can layer several patterned rugs for a fun and eclectic twist that makes a statement without overwhelming the space. Choose rugs within the same color palette so the design appears deliberate. You can prevent the two from competing by making sure one pattern is bigger than the other. An area rug with large black-and-white stripes will add a modern touch to a smaller oriental rug with fine, intricate details. Another option is to choose two rugs with the same pattern, one neutral and one colorful, for a dimensional look. Check out our Area Rug Style guide for more style ideas. This is your chance to bring out your inner designer — have fun with it! By simply rotating your rugs, you can create an eye-catching dynamic in your layered look. 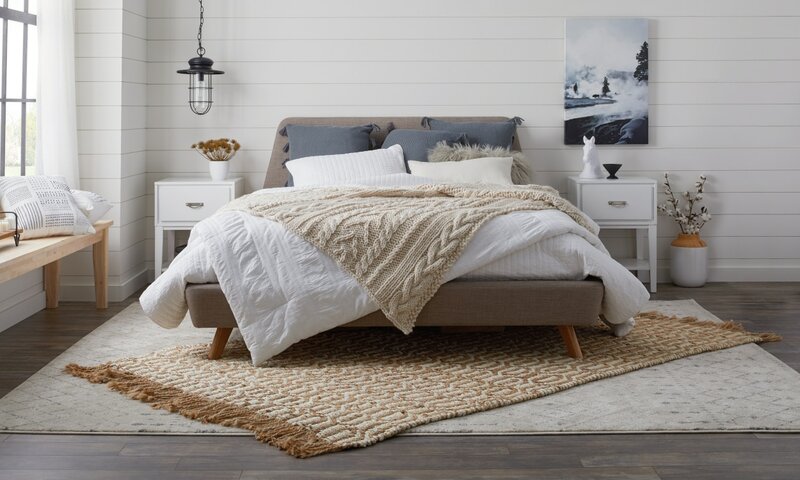 Angling rugs can actually add movement to your room. 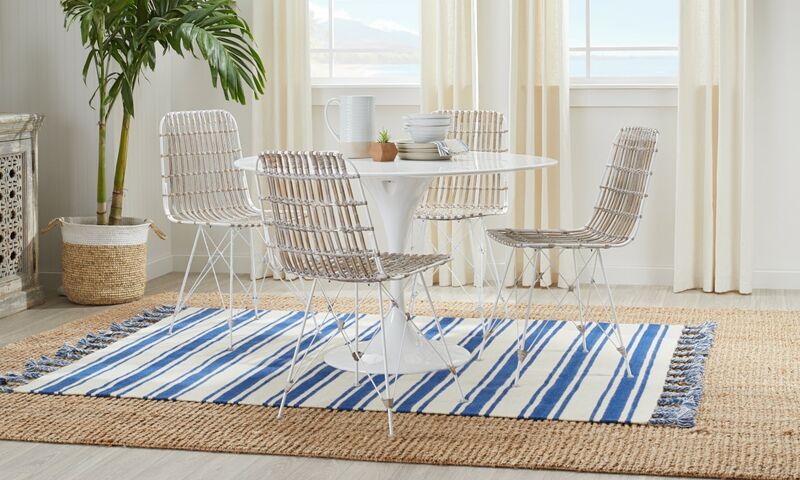 Point a rug towards your seating area for an inviting effect that encourages guests to sit down and relax. Diagonal layering works best when your base rug is slightly biggerr, but with this design you can get away with two of the same size. If your base rug is drastically bigger than the top one, keep the base rug straight and only angle the top for a look that draws attention. Keep your layered rugs from competing for attention by choosing two with opposing textures to balance each other out. 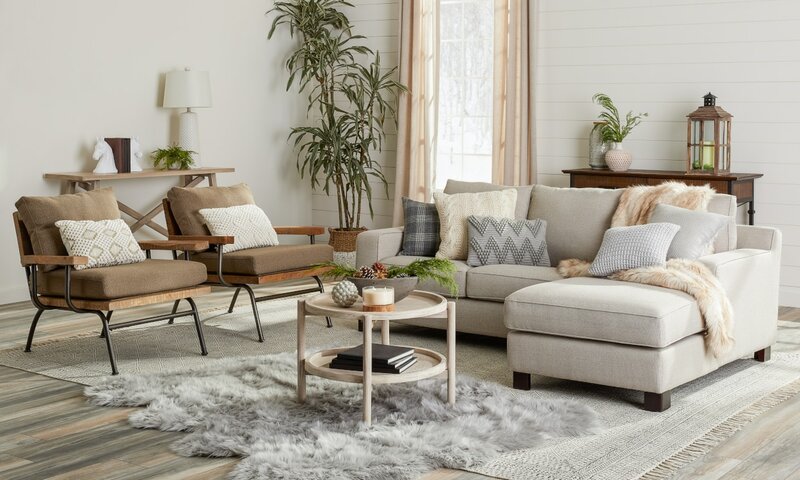 Area rugs made with natural materials, like seagrass, sisal, or jute, feature neutral shades with a low pile, so one would work well as a base for your layered-rug look. The rug you add on top should be colorful or patterned with a high pile so it contrasts well with your base rug. Try layering a faux cowhide rug over a jute base for an interesting visual that adds dimension to your room. An arrangement like this could even serve as a focal point. 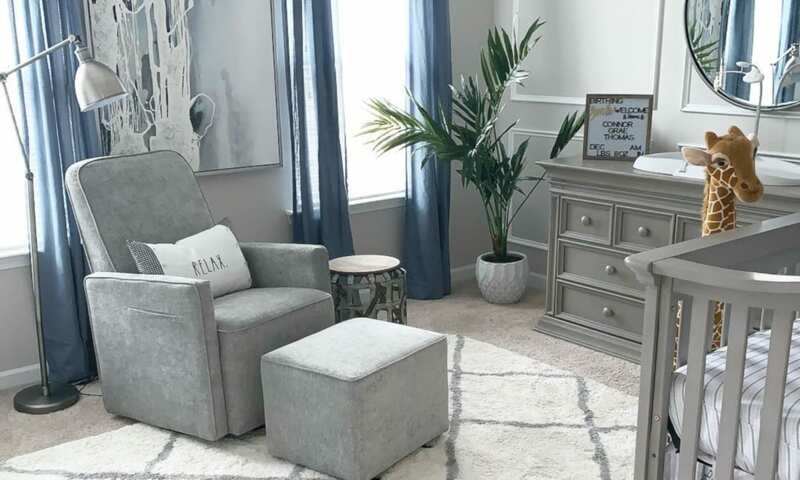 If layering rugs intrigues you but you’re worried about diving into the trend, you can get your feet wet by layering in a small area like your entryway. 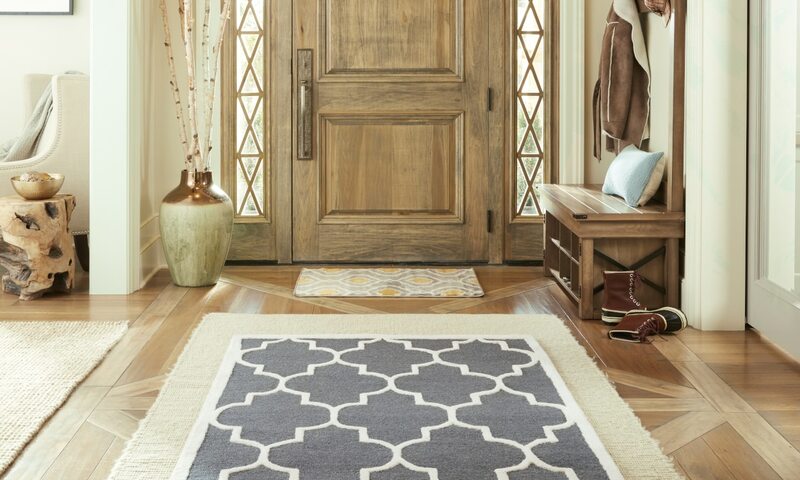 Vamp up a solid, neutral entryway rug by layering a simple patterned rug on top. If you keep the pattern big and the colors neutral, like the layered set above, you can’t fail. Trying this out in your entryway guarantees a powerful visual impact the moment anyone walks in the door. Even front porch visitors will be impressed. A tiny accent rug layered over a giant area rug can look strange by itself. But if your accent rug is laying the foundation for a focal point, it makes an eye-catching statement. 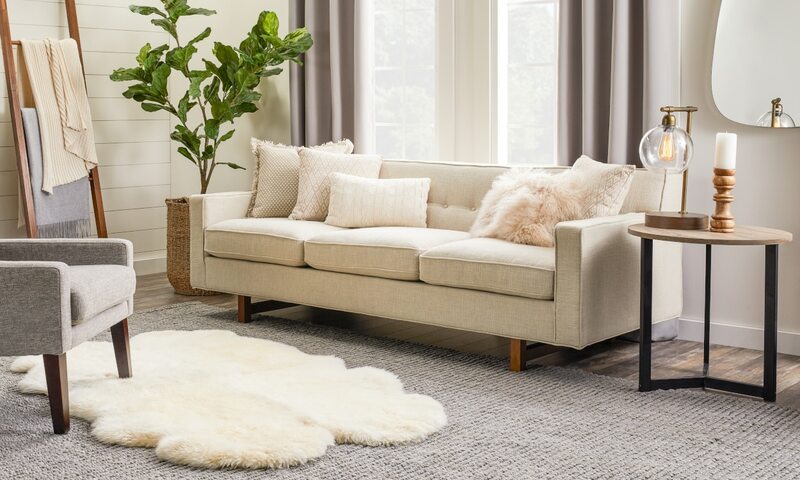 Try a faux fur rug under your coffee table to add cozy dimension and define the space. You could also use an accent rug to section off a conversation area from the rest of the room. Accent rugs are stunning when they differ in style and shape from the base rug. If your base rug has low pile, an odd-shaped shag accent will pack a punch. Just because your room has wall-to-wall carpet doesn’t mean you have to forgo an area rug. Layering a rug over carpet gives your room a personal touch when you can’t change the existing flooring. Plus, it’s a great way to cover unsightly stains until you can replace the carpet. The biggest concern with a rug on carpet is that it can ripple and bunch. 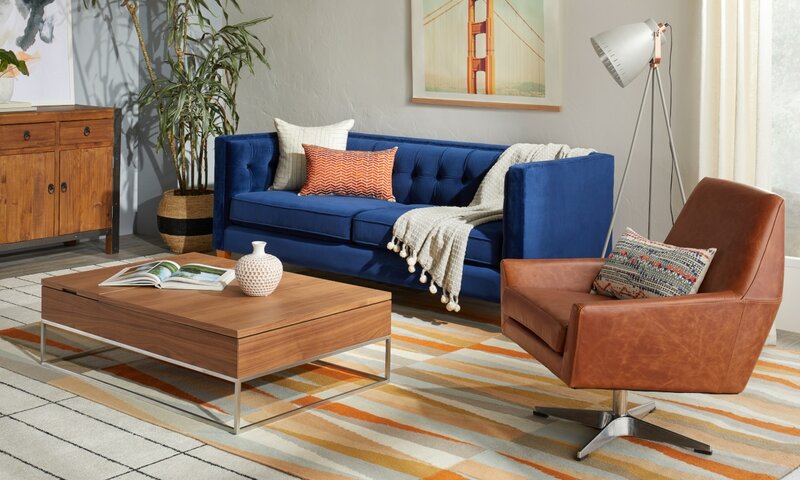 You can solve that problem by anchoring your area rug under a piece of furniture like your couch or armchair. A carpet-to-carpet rug pad can also help with the bunching conundrum. It grips both the carpet underneath and the rug on top so your area rug always stays in place.